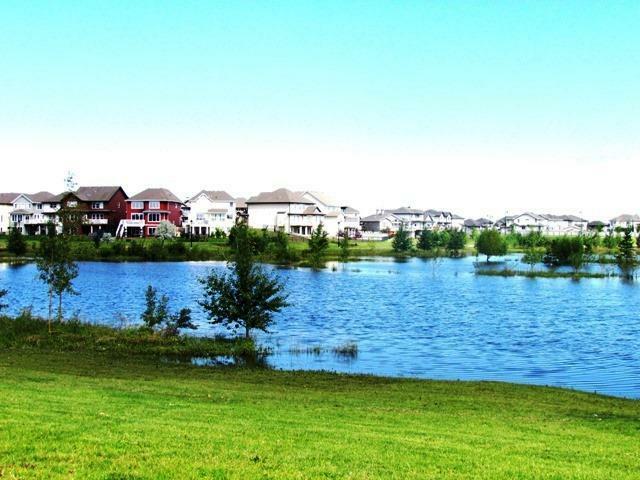 The Hamptons is one of West Edmonton’s best designed, family-focused and modern neighborhoods. Conveniently located in the west end, just off of the Anthony Henday and 62nd Avenue, this is a prime location to enjoy a quiet suburban life. And even though The Hamptons, Edmonton real estate is on the edge of the city, the daily commute to work in and around Edmonton is quick via Henday Dr and Whitemud Dr.
Two new schools have opened in The Hamptons in recent years and click on either of them now to view current listings around each school: Bessie Nichols K-9 Public School and Sister Annata Brockman Catholic School (K-9). In addition there are schools in surrounding neighbourhoods like Belmead, Ormsby Place and Lymburn. When your kids are not in school and you are away from work, there are countless ways for one to entertain themselves in and around the Hamptons. Golf lovers flock to Black Hawk Golf Club. Health Conscious Residents frequent Callingwood Recreation Centre, Jamie Platz YMCA and Club Fit West.